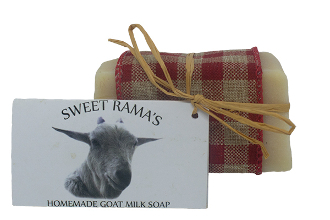 Our "naked" goat milk soap with no added fragrance. Simply made with: vegetable shortning, goat milk, coconut oil, distilled water and lye. Pure and clean!